Hey! 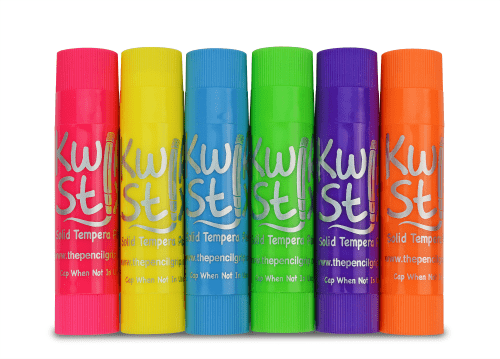 I’m back again with another review from The Pencil Grip, Inc.. 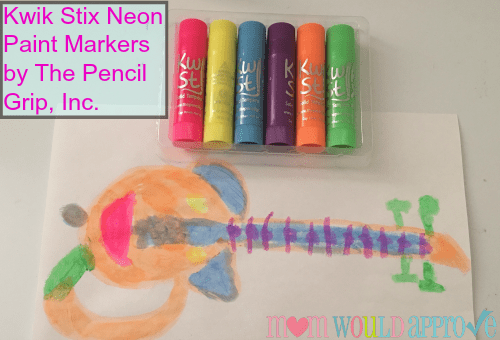 This time I’m reviewing their neon paint markers. 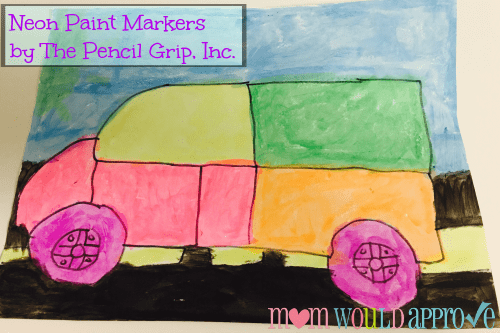 You can find the other reviews I did for their original paint markers here and their Pencil Grips 3 Step Training Kit here. 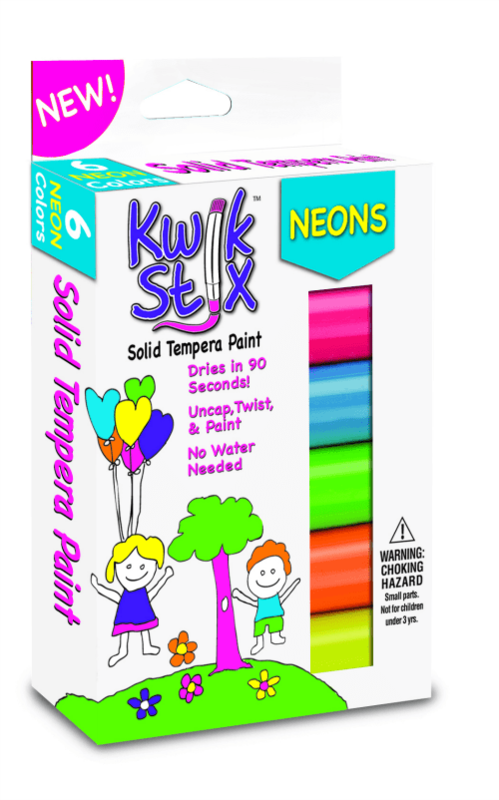 The neon paint markers colors are so pretty and bright! There’s neon pink, blue, orange, green, purple, and a neon yellow. I love how bright and colorful they are on the paper. This is what Austin, my youngest drew. He said it’s a bunny guitar. He is crazy about bunnies. See how bright and colorful the paint markers are? Cameron, the oldest, decided to draw a monster truck using the neon markers, except for the black color which is from the original markers set. 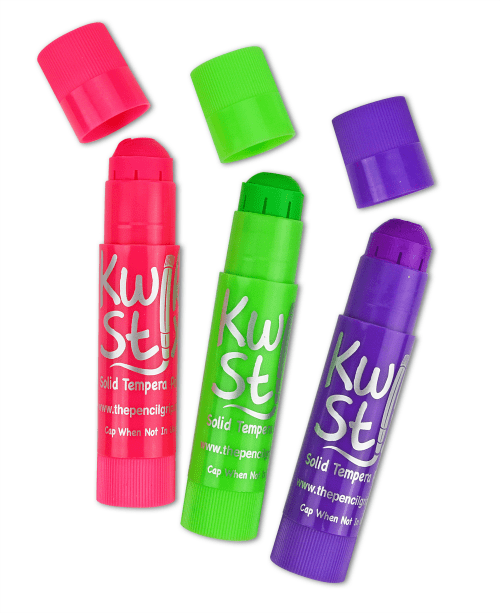 I believe these are the best paint markers on the market! They leave no mess on the hands and dry super quick. Since they are like crayons, you don’t have to worry about them spilling it or dumping them on the floor. I like how big they are shaped for little fingers and how small they are sized so they can be carried easily anywhere. They are like glue sticks, there’s no water needed, but you do need to make sure they are capped when not in use so they don’t dry out. I also like how they are solid tempera paint; meaning they are easier to get off of surfaces that aren’t paper. Another great thing about them is that they are non-toxic, so if the little ones decide to put them in their mouth, it won’t harm them.